Hundreds of protestors have signed a petition to stop a man accused of murdering a lesbian woman for her orientation being released on bail. 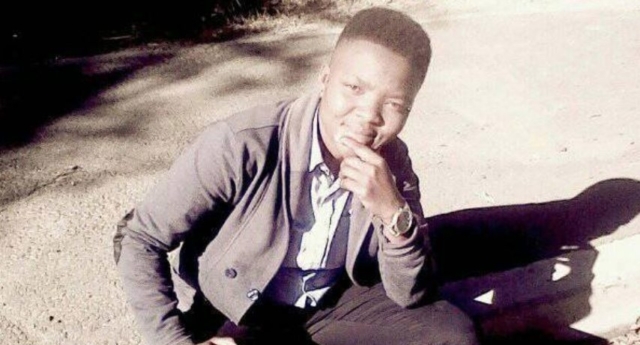 Noxolo Xakeka was allegedly killed by Bongile Joni when she was 23-years-old after Joni hit her with a plank of wood and stabbed her on 1 January in Lwandle, South Africa. Xakeka was with her partner and some friends some 250 metres from her home when she was taunted with insults about her sexual orientation, reports News 24. Witnesses said that the comments resulted in a fight, which allegedly led to Joni hitting Xakeka with a plank and then stabbing her twice. Joni was released on a warning at his first appearance on January 4. Despite 800 signatures, Magistrate Karen Scheepers said she could only consider the petition once a formal opposing application was filed. “This was a hate crime. He lives in the community where the victim resided and where her friends who were there that night still live. So they can easily become a target for intimidation. We have around 800 signatures and many of them are from knocking door-to-door in the area,” Triangle Project’s Sharon Ludwig told News 24. “We are saddened by this … We feel the justice system has failed our community,” said the area’s ward councillor Bulelwa Madikane. Xakeka also had a six-year-old son, who is now being taken care of by her parents. There has been a recent surge in LGBT+ hate crime in South Africa. Married lesbian couple Joey and Anisha van Niekerk were killed, raped and set alight in South Africa in December last year in one of the most horrific hate crimes to date. What is Gaydar? Does it work like other gay dating apps, and can I join for free?